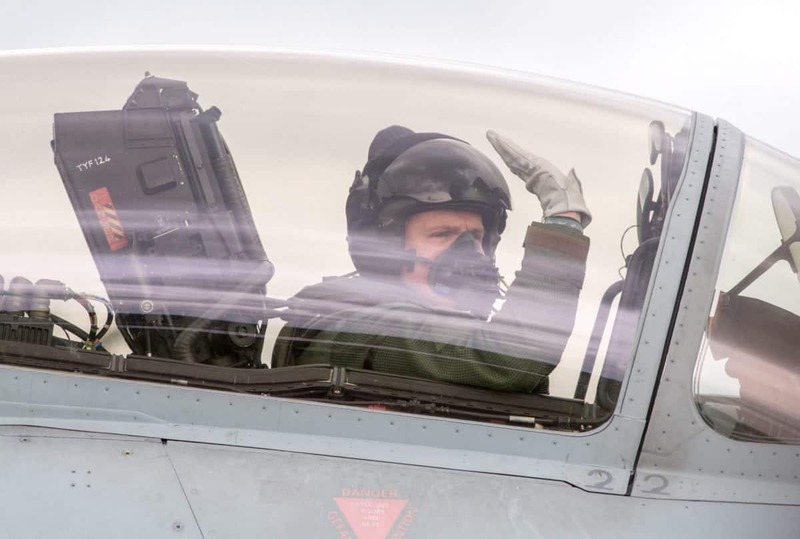 Four RAF Typhoon pilots using the world’s most advanced fighter helmet set off for Eastern Europe yesterday as tensions with Russia mounted. The £250,000 Striker II helmet boasts in-built digital night vision that identifies enemy targets by red and yellow colour codes. The Luke Skywalker-style head gear allows pilots to tell friend and foe apart in an instant. 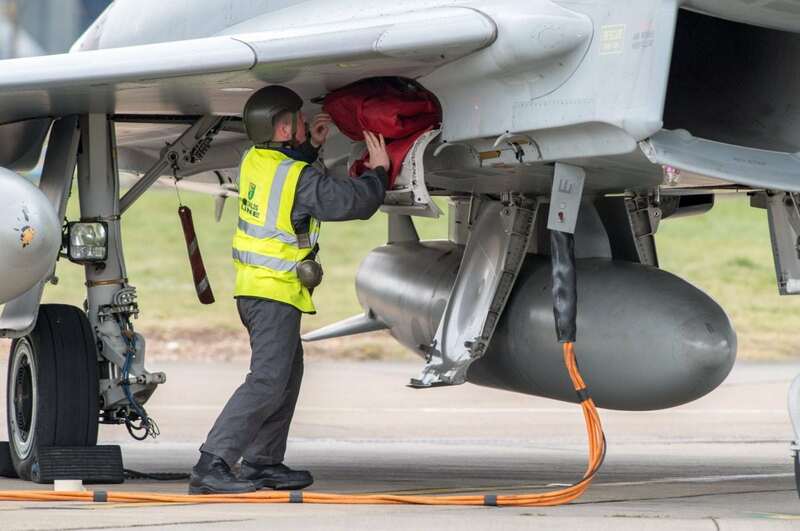 The state-of-the-art helmets are being used by Typhoon pilots who set off from RAF Coninsby today to bolster air support in Romania. in the face of increased aggression from Vladimir Putin. 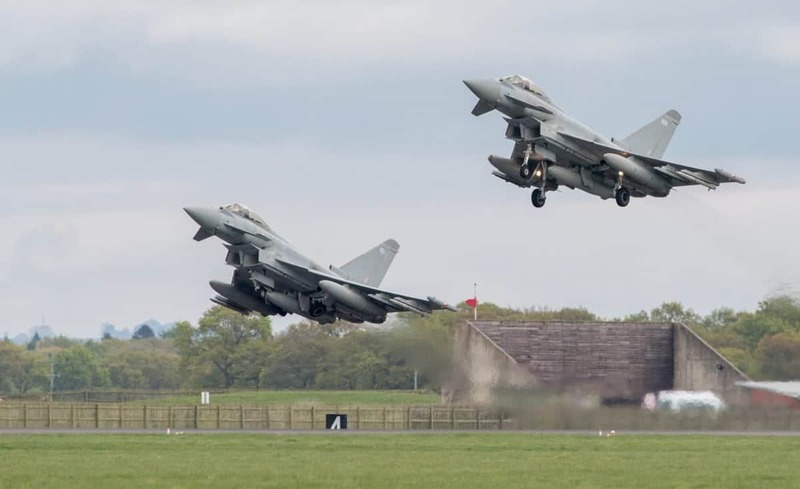 The four Typhoons, from 3 (Fighter) Squadron will lead the deployment, which is part of the Nato southern air policing mission. They will spent up to four months based at Mihail Kogalniceanu airbase in south east Romania. 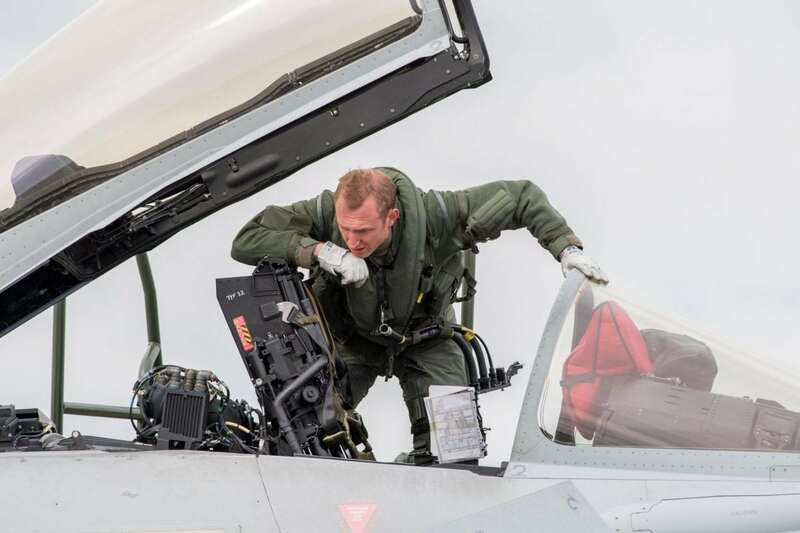 Last year BAE signed a deal worth £2.1billion over ten years to support the RAF’s Typhoon fleet. Chris Colston, who developed the Striker II helmets, said: “For the pilot it’s like going from your old analogue TV to HD. “Before, everything was displayed in monochrome green. Now we can mark ground and air targets by colour – making them easier to identify at speed. “The symbols jump out in daylight and at night-time over the green. “All the info the pilot needs is displayed in this helmet but you can also see through the display to the outside world. Next PostHow Could Theresa May’s Snap Election Announcement Affect the UK Economy?